Started as the Art Pod in 1970 by Jacquie Stiefel and Irene Mahon (my mother), the store sold art supplies and local crafts just before the big "crafts" movement of the 1970's..
David Armstrong, a 23 year-old Bucknell Art student began buying and bartering his painting supplies with Mrs. Mahon, starting a relationship that grew along with David's art. The Open Door was opened across the street from "The Pod" and then up to 335 Market Street in the mid 1970's. 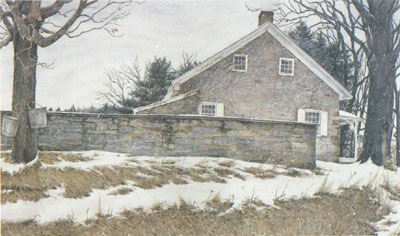 Semi-retired (ha-ha) Bucknell/Lycoming professor Owen Mahon expanded the scope of the store to include "custom framing", an idea kind of new to central PA. 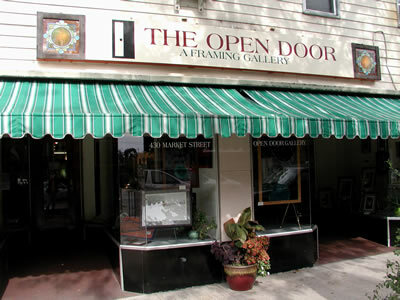 The Open Door was always there to encourage young local artists: Brad Shoemaker, Jeff Martin, Patti Brandt, David Seybold, Ron Beach, Tony Cavastan, Christopher Armstrong to name just a few. That feeling of art community continues today at the 430 Market Street location under the guise of Owen Mahon, Jr. and his diverse staff. 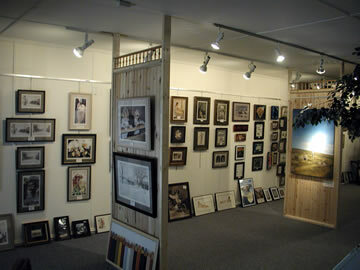 Unique custom framing still rules, with restoration services for frames, photos, and paintings now an everyday offering. Stop by and browse and have a little fun. Closed Mon for restoration work.